Situated between Margate and Port Edward on the Bushy Vales Road (close to San Lameer Resort) is Silver Oaks Retreat and Conference Centre. Our goal is to provide affordable quality accommodation to churches and other groups in order that God’s people can grow in fellowship and their walk with the Lord Jesus Christ. It is also a “place of rest” for those serving the Lord in a full-time capacity. For those enjoying a rustic farm atmosphere it is also recommended as a holiday accommodation and a way to support God’s work while resting. 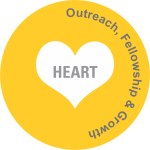 CfC believes that the local church should reach their community for Christ. For this reason it aligns itself in strategic partnerships with churches that has a Kingdom vision and then seek ways to assist that local church to effectively reach out to their communities by providing relevant training for evangelism and discipleship to the local church. Outreach could include sports ministry; door-to-door; Jesus film; holiday Bible clubs; etc. (2) living in a rural area serving a local church. Option (2) suitable only with small groups up to 10 people. Whatever the option ample time is required for preparation especially option (c).